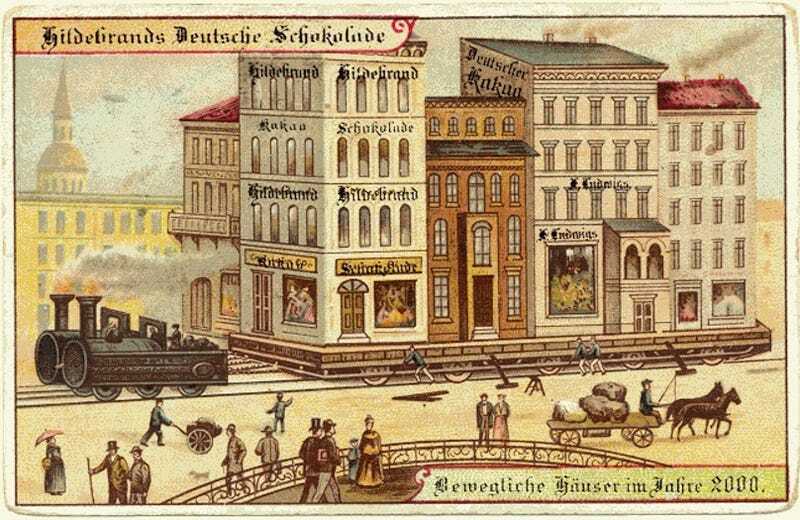 Back in 1900, the German chocolate company Hildebrands included with their chocolates some promotional postcards with illustrations of what the year 2000 might look like. The cards featured personal flying machines, moving sidewalks, and even machines that would help move entire city blocks. Kelsey Campbell-Dollaghan has the fascinating story of six towns that were more or less picked up and moved in their entirety. Her post even includes the town of Hibbing, Minnesota — where my grandmother's family is from!